Let us conduct two thought experiments. First, hard as it is, let’s imagine Vladimir Putin is a committed democrat and Russia is a fully consolidated democracy. Given its history and geopolitics, the place of Kiev in Russia’s cultural and national identity, and the strategic importance of Crimea for Russia’s security, would a democratic Putin and Russia have reacted differently to the challenge to core interests posed by recent Ukrainian developments? Not a chance. Now imagine — this is less hard — that instead of the wimp Barack Obama as caricatured by the testosterone-fuelled right-wing American hawks, the US President was their hero Ronald Reagan or even Richard Nixon. Could/would they have confronted a heavily nuclear-armed Russia’s move to retake Crimea (“gifted” to Ukraine voluntarily by Soviet leader Nikita Khrushchev in 1954) any differently? Nyet, nada, not a chance. We need not even guess on this one — NATO was equally impotent in Hungary 1956, and then again in Czechoslovakia in 1968. As Mahatma Gandhi warned, an eye for an eye will leave the whole world blind. However it turns out, this is not the West’s fight to lose. Which suggests we should take a deep breath and calm down. The crisis is a perfect illustration of the ancient dictum by Thucydides in the fifth century BC: The strong do what they can, the weak suffer what they must. It does not portend a new Cold War. Such talk is beyond foolish. There is zero prospect of Russia re-emerging as a global military challenger to the US anytime soon; posing an ideological challenge to democracy; or resurrecting the command model of socialist economics to counter today’s dominant market principles. In terms of classical realism and balance-of-power politics, Ukraine’s actions were dangerously provocative to its great power neighbour; Russia’s reactions were entirely predictable in its core sphere of influence; and America’s impotence neither reflects its true power nor is an authentic test of credibility or will to act when its vital interests are under threat. Australia’s Tom Switzer makes the case in such classical realist terms (“Putin’s side of history,” The American Conservative, March 5), as well as the old war horse Henry Kissinger (“How the Ukraine crisis ends,” The Washington Post, March 6). Harvard University’s Stephen Walt writes: “tough-minded realism is a better guide to foreign policy than liberal idealism or neoconservative bluster” (“No contest,” Foreign Policy, March 3). As Kissinger remarked when the Argentine junta foolishly invaded the Falkland Islands in 1982, a great power does not retreat forever. Russia is a traditional European great power that was comprehensively defeated in the Cold War. The West has treated it as if it had been militarily defeated and conquered. Instead it reacts like a wounded great power when NATO expands its borders to the limits of Russia’s territory, betraying Moscow’s understandings on the terms of its acquiescence to Cold War defeat. Putin has described the dissolution of the Soviet Union as the last century’s greatest geopolitical disaster. We rubbed its nose repeatedly in the dirt of its historic Cold War defeat, blind to — nay, disdainful of — its interests and complaints. Now we act surprised that it carries a grievance and resentment, and reacts like any great power would when we engineer a coup in its front garden to oust a democratically elected leader because he is pro-Russian? John Kerrey declares in the 21st century, you cannot just invade countries on a “completely trumped-up pretext.” This from the Secretary of State of a country that did exactly that without the excuse of vital security interests being under threat to a country on the other side of the world; and from a man who voted for that war (having voted against the fully justified Gulf War I and who more recently described the military coup in Egypt as a restoration of democracy). So much for satire. It’s tempting to say of him that he is preparing to mount the charge of the lightweight brigade. When Washington and London warn that acts of aggression have costs and consequences, they should first hold a mirror to the recent history of their own countries: self-parody trumps self-righteousness. The US and NATO examples of unilateral use of force, generally at a considerable distance from home shores, are at least as many and often much more clearly aggressive rather than defensive, as the history of Russian acts of aggression against other countries. In terms of provocations, justifications, the killings unleashed, etc., US condemnations of Russia betray rank hypocrisy and double standards. Ukraine’s previous president was legitimately elected; the notorious “f… the EU” taped comment from Assistant Secretary of State Victoria Nuland proved US interference in Ukraine’s internal politics to replace the elected president through street protests; the new government did pass measures stripping Ukrainian ethnic Russians of key minority rights; Crimea was part of Russia in the not too distant past; it is a strategic lifeline for a major power; etc. By contrast, no conceivable way was Iraq in 2003 a threat to vital US (or UK and Australian) interests and people. If the test of policy is not how it starts but how it all ends, as Kissinger reminds us, the most critical factor for the Asia-Pacific is what lessons China reads into all this. It has already given hints that going by US precedents, a first-rate power uses international law to enforce compliance on others but dismisses legal restrictions on its own behaviour as of no consequence. The West has lost the capacity to lay down the law to all others, flout global rules whenever it suits its interests or whim, and dare everyone else to notice. The sooner we return to the belief that the world is better if all countries, even great powers, must be subject to the rule of law, the better. Meanwhile, in Ukraine, all parties should heed Kissinger’s sage advice. Neither side domestically or externally should seek to dominate the other faction, but act on historical perspective and strategic logic to compromise, share power, and let Ukraine be a bridge between two worlds. Westerners are always eager to offer themselves as mediators in conflicts around the world that they often aggravated as colonial rulers, from South Asia to the Middle East and across Africa. India rejects militarisation of disputes and conflicts, promotes political resolutions through diplomatic talks, works to soften the West’s interventionist impulse in the internal affairs of independent states, and is strongly opposed to infringements of territorial integrity and sovereignty (including NATO’s war in Kosovo in 1999 and Iraq in 2003). It also has a better record than any country, bar none, when it comes to functioning institutions of power sharing and accommodation and respect for electoral outcomes, so that all key groups in the country share a stake in the political order. For all these reasons, India is well placed to offer its good offices to help defuse East-West tensions in the Crimea. What it has traditionally lacked is the institutional capacity to connect national aspirations of great power status to global leadership in solving conflicts and other problems, including foreign ministers with the requisite vision and skills. — The writer is professor in the Crawford School of Public Policy, Australian National University. The crisis in Crimea began when nearly 11,000 soldiers loyal to Russia took control of the peninsula and obstructed Ukrainian bases. 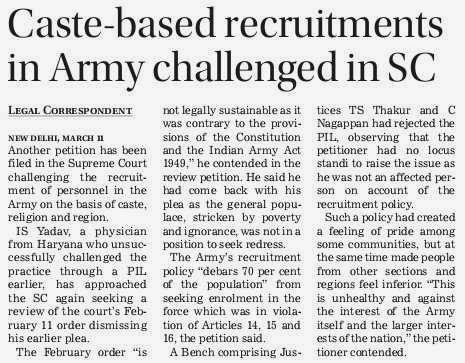 Another petition has been filed in the Supreme Court challenging the recruitment of personnel in the Army on the basis of caste, religion and region. IS Yadav, a physician from Haryana who unsuccessfully challenged the practice through a PIL earlier, has approached the SC again seeking a review of the court’s February 11 order dismissing his earlier plea. The February order “is not legally sustainable as it was contrary to the provisions of the Constitution and the Indian Army Act 1949,” he contended in the review petition. He said he had come back with his plea as the general populace, stricken by poverty and ignorance, was not in a position to seek redress. The Army’s recruitment policy “debars 70 per cent of the population” from seeking enrolment in the force which was in violation of Articles 14, 15 and 16, the petition said. A Bench comprising Justices TS Thakur and C Nagappan had rejected the PIL, observing that the petitioner had no locus standi to raise the issue as he was not an affected person on account of the recruitment policy. Such a policy had created a feeling of pride among some communities, but at the same time made people from other sections and regions feel inferior. 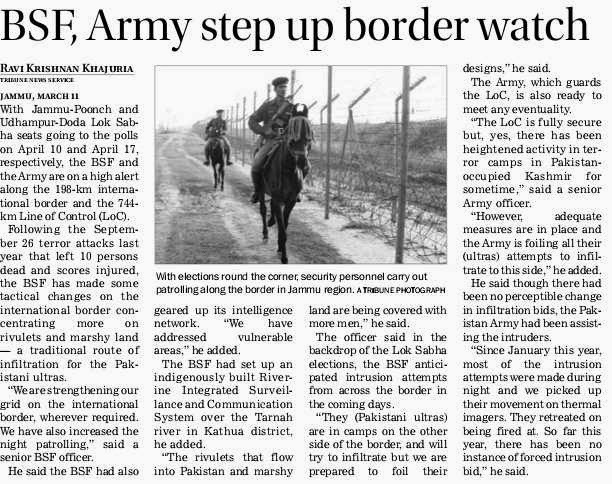 “This is unhealthy and against the interest of the Army itself and the larger interests of the nation,” the petitioner contended. NEW DELHI: India may be headed for elections, with all major policy decisions and defence deals on the hold, but there are no full stops as far as the military-to-military engagement with the US is concerned. A 26-member delegation led by General Vincent K Brooks, commanding general of the US Army Pacific, will be here on March 18-20 for the 18th meeting of the India-US executive steering group (ESG). The Indian delegation, in turn, will be led by director-general of military operations Lt-General P R Kumar during the talks. "The ESG will discuss measures to further crank up military-to-military ties through joint combat exercises, doctrinal and operational exchanges. The two armies are slated to conduct their annual Yudh Abhyas counter-terrorism exercise at Chaubatia (Uttarakhand) in July-August this year," said an official. The exercise, the last edition of which was held at Fort Bragg in the US last May, was to be held earlier this year but got delayed by a few months amid the diplomatic wrangling during the Devyani Khobragade episode. The expansive India-US defence cooperation over the last decade has seen the armed forces from the two countries conduct over 70 exercises, including the high-end Malabar naval combat exercises. India has also invited Japan to join the Malabar wargames in August-September this year, an offer which was extended during Japanese PM Shinzo Abe visit here in January. The US has already bagged defence deals close to $10 billion over the last decade in the lucrative Indian defence market, with the latest being the $1.01 billion one for six additional C-130J "Super Hercules" aircraft. The other deals on the anvil are the ones for 22 Apache attack helicopters, 15 Chinook heavy-lift helicopters, four P-8I maritime patrol aircraft and 145 M-777 ultra-light howitzers, together worth another $4 billion or so. Desperate to displace Russia as India's largest defence supplier, the US is promising to treat India on par with its closest allies like the UK and Australia for providing cutting-edge military technology. Towards this end, the US has also managed to almost scuttle an almost-finalized over Rs 15,000 crore project with Israel to equip the over 380 infantry battalions of the Indian Army with third-generation, shoulder-fired anti-tank guided missiles (ATGMs). After the US initially created roadblocks in the transfer of technology (ToT) for its "Javelin" ATGMs, India had turned to the Israeli "Spike" ATGMs for the project. India is keen on an initial import of the tank-killing missiles followed by ToT to defence PSU Bharat Dynamics for indigenous manufacture. But after the US recently offered a joint project to manufacture the next-generation of ATGMs, the Indian defence ministry says both the Israeli and American proposals are now being studied to select the better option. 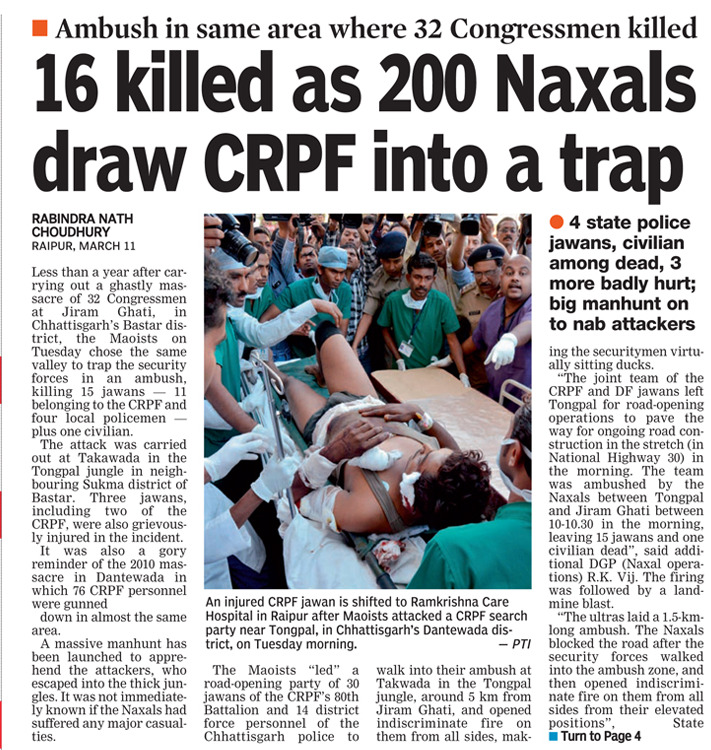 The Indian armed forces never had it so bad ever before. The morale of the forces has taken a beating as there have been one too many avoidable controversies. 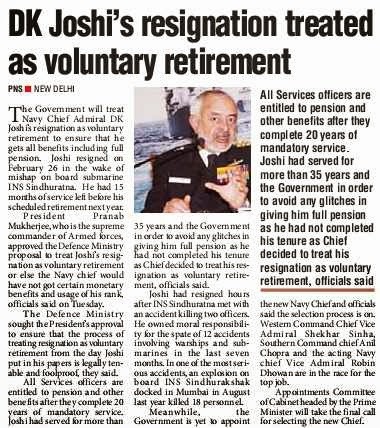 With the occurrence of naval accidents and scams, trust between the defence forces and the elected civilian government has hit rock bottom. This has adversely impacted acquiring resources in terms of equipment. And the forces’ overall preparedness has apparently reached an unacceptable low. Open public discourse on the nitty-gritty of the Indian armed forces — a force which is held in great honour and respect by the people of India — is indeed shocking. Experts, and amateurs like this writer, ask: Where does the buck stop? But then who is to be mindful of the image of the armed forces, known for their valour and which, notwithstanding the pressure Pakistan brought on us through US Task Force 74 of the US’ Seventh Fleet in the Bay of Bengal, made Pakistan surrender in 1971? 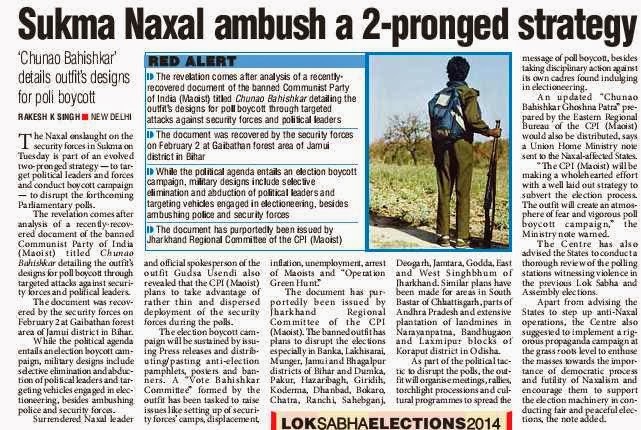 Whenever law and order situation crumbles in any part of the country, it is the Army which, by a simple flag march, restores confidence and faith in the law-abiding citizen whilst, simultaneously, containing the outlaws. However, when issues related to Mr Antony are raised, there is a rush of people reminding us about his “squeaky clean image”. But has his image been built at the cost of the image of the defence forces? Or, even, the image of the country itself? Is his image a handy smokescreen behind which certain incidents and happenings remain hidden? In an interview with a leading news daily in March 2012, the then Army Chief, Gen. V.K. Singh, had said that he had informed Mr Antony about a shocking case of bribes running into several crores and that a bribe was being offered to him as well. Mr Antony issued a rebuttal, stating that he had asked Gen. Singh for a written complaint which the latter did not give. What came of that, if at all an investigation was held, is anybody’s guess. A list of the various controversies during Mr Antony’s tenure is sufficient for us to ask a few questions. The age row of Gen. Singh, the purchase of substandard and outrageously priced Tatra trucks, kickbacks in the purchase of AgustaWestland helicopters, shortage of India-made batteries in submarine INS SinduRatna leading to the death of two sailors, the accident in submarine Sindurakshak, two dead in the naval dockyard in Visakhapatnam, the report of the Army allegedly marching towards Delhi to attempt a coup which spooked the Government of India, the Sukhna land scam, and the Adarsh Housing society scam. Repeated Chinese incursions, with the Chinese troops sometimes camping in Indian territories, have left a string of unanswered questions. Have we driven them out of our territory completely? 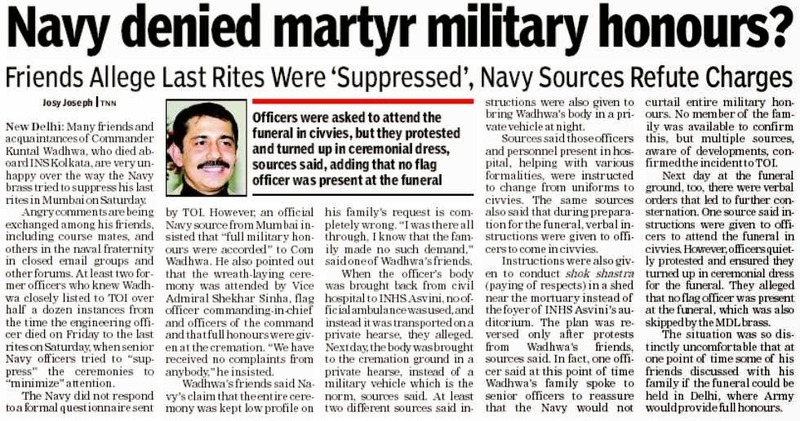 The defence ministry failed to coordinate its strategies with the external affairs ministry to talk with Pakistan to restore the honour of our dead soldiers, whom they had dishonoured by severing their heads and gouging their eyes out in violation of the Geneva Convention. Ordering inquiries may partly reveal the truth. 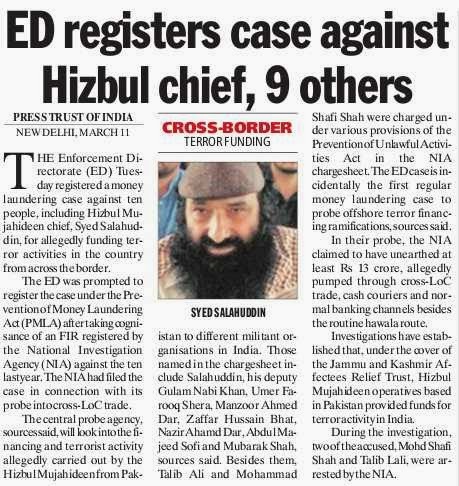 But canceling the order each and every time a scandal erupts is bound to have an adverse impact on the armed forces which has a long list of delayed purchases. The defence forces need highly specialised equipment, and failure to obtain them in good time can cripple their capability. The avoidable death of the Navymen due to lack of timely procurement of India-made batteries pushed a sensitive Naval Chief Adm. D.K. Joshi to resign. “It’s a very ominous situation to be in. The Indian Navy is going through a blighted phase,” observed C. Uday Bhaskar, a fellow at Delhi’s National Maritime Foundation. 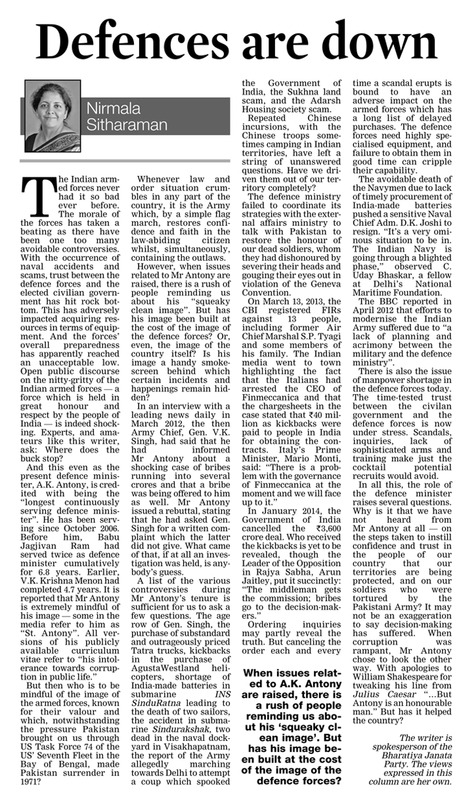 The BBC reported in April 2012 that efforts to modernise the Indian Army suffered due to “a lack of planning and acrimony between the military and the defence ministry”. 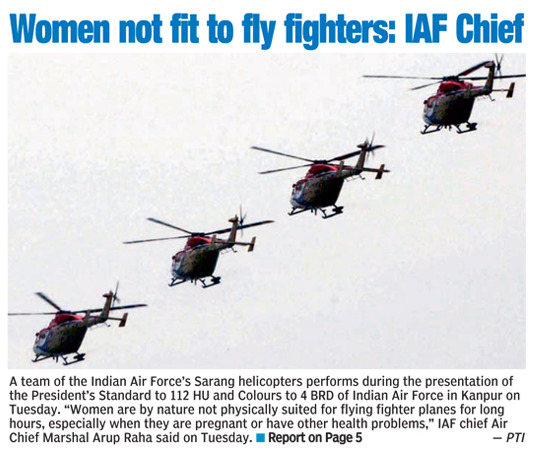 There is also the issue of manpower shortage in the defence forces today. The time-tested trust between the civilan government and the defence forces is now under stress. Scandals, inquiries, lack of sophisticated arms and training make just the cocktail potential recruits would avoid. In all this, the role of the defence minister raises several questions. Why is it that we have not heard from Mr Antony at all — on the steps taken to instill confidence and trust in the people of our country that our territories are being protected, and on our soldiers who were tortured by the Pakistani Army? It may not be an exaggeration to say decision-making has suffered. When corruption was rampant, Mr Antony chose to look the other way. 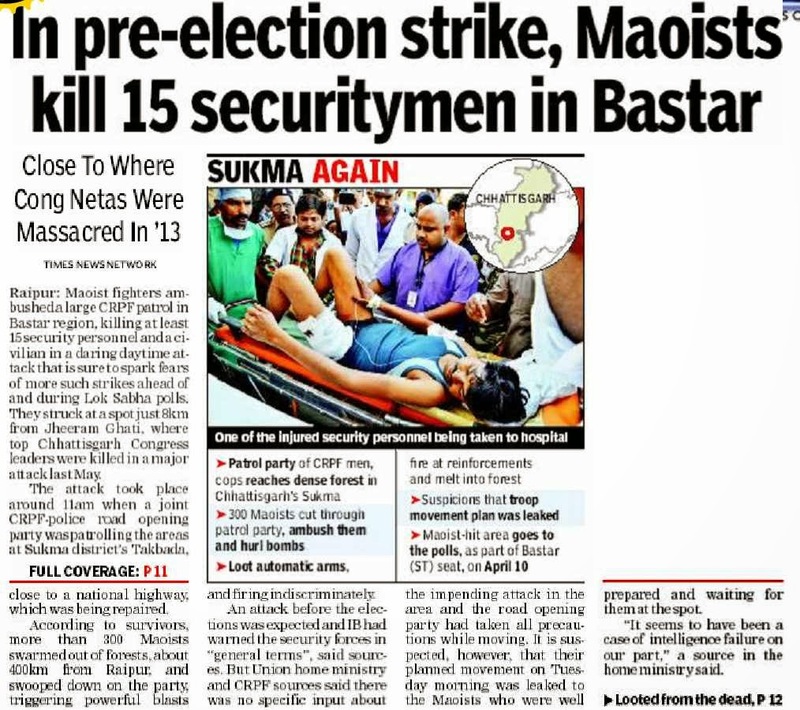 With apologies to William Shakespeare for tweaking his line from Julius Caesar “…But Antony is an honourable man.” But has it helped the country?